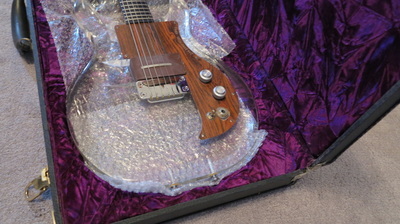 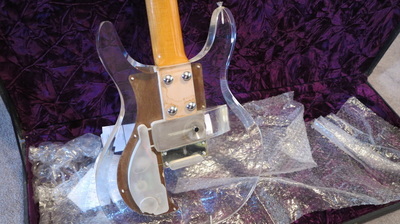 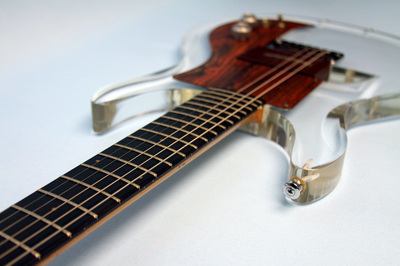 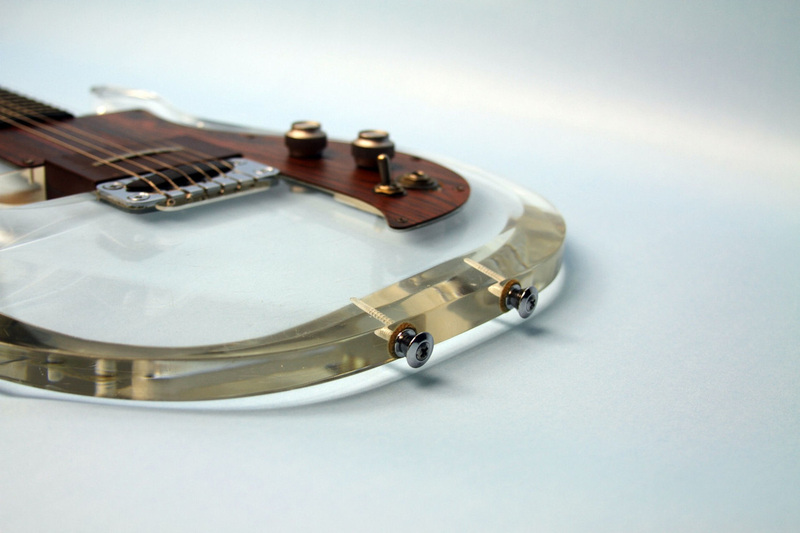 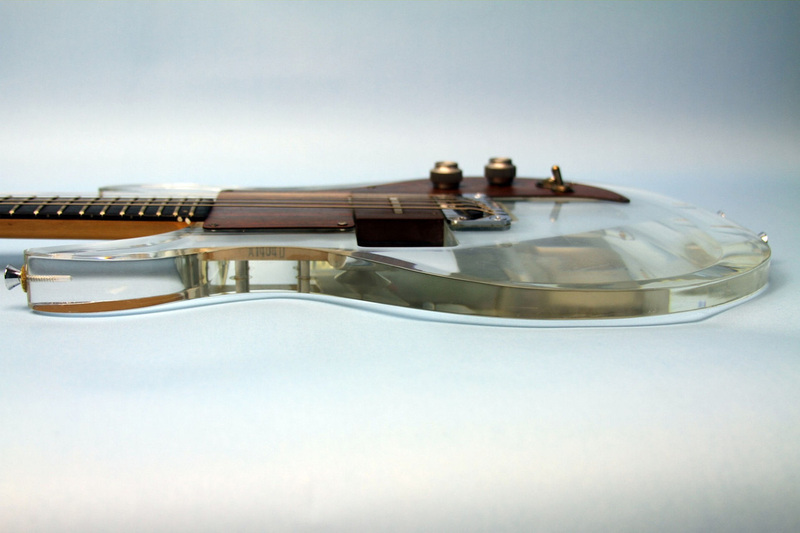 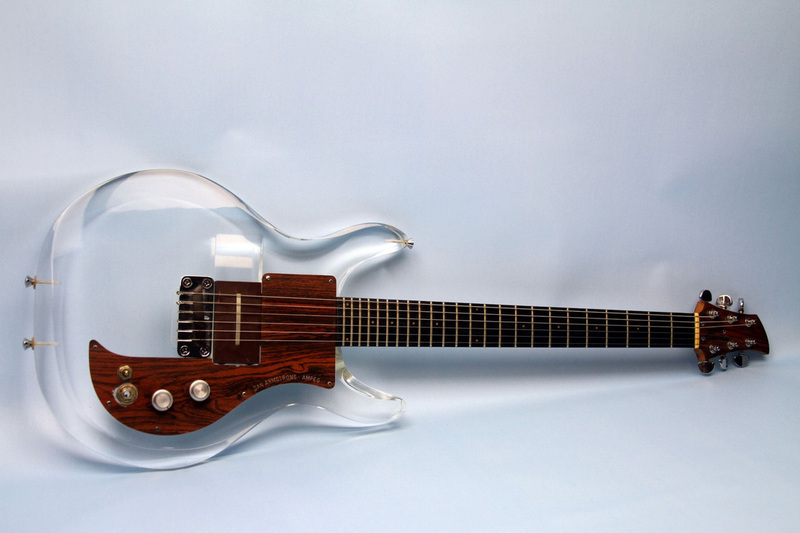 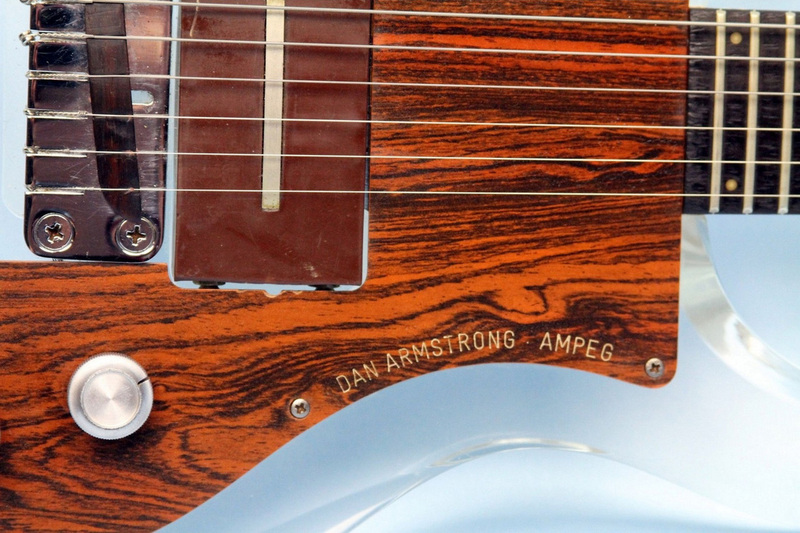 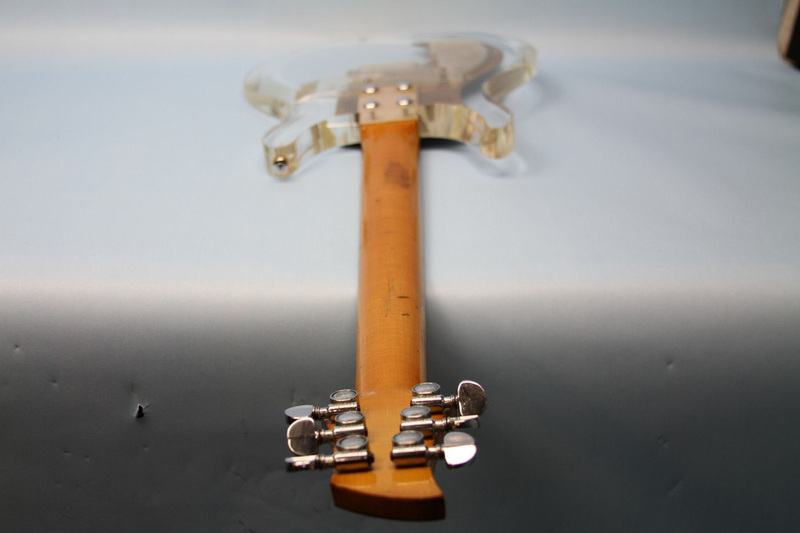 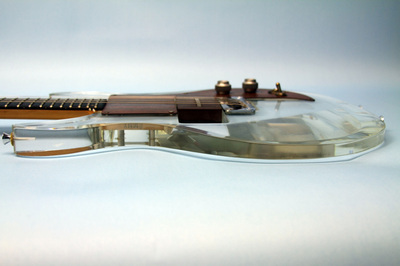 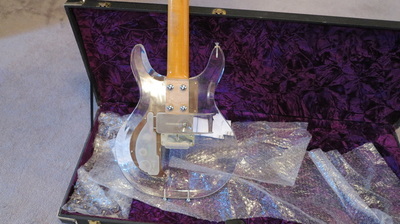 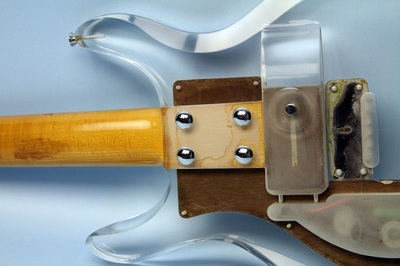 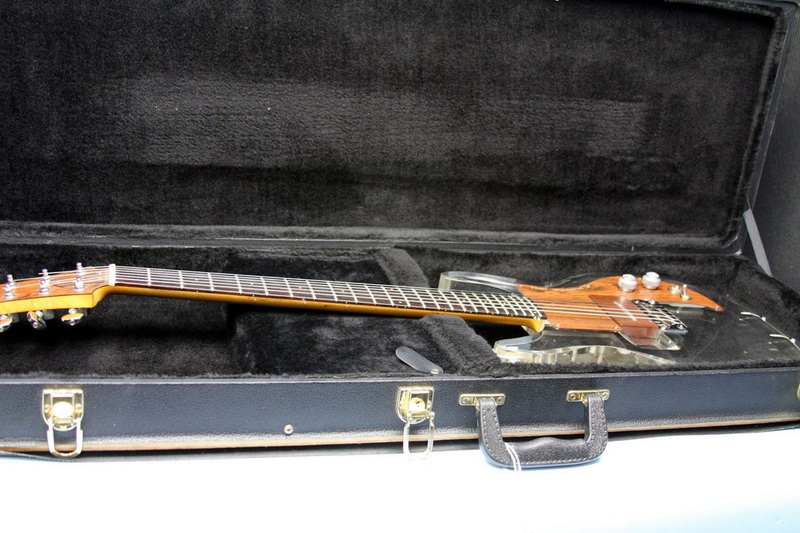 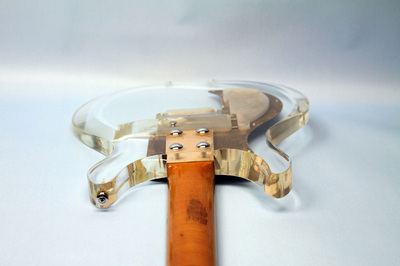 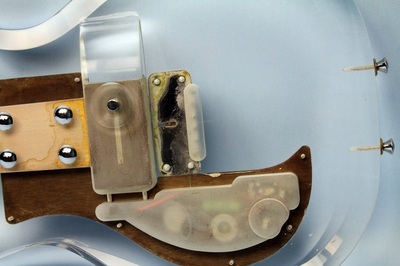 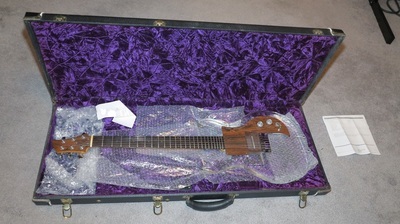 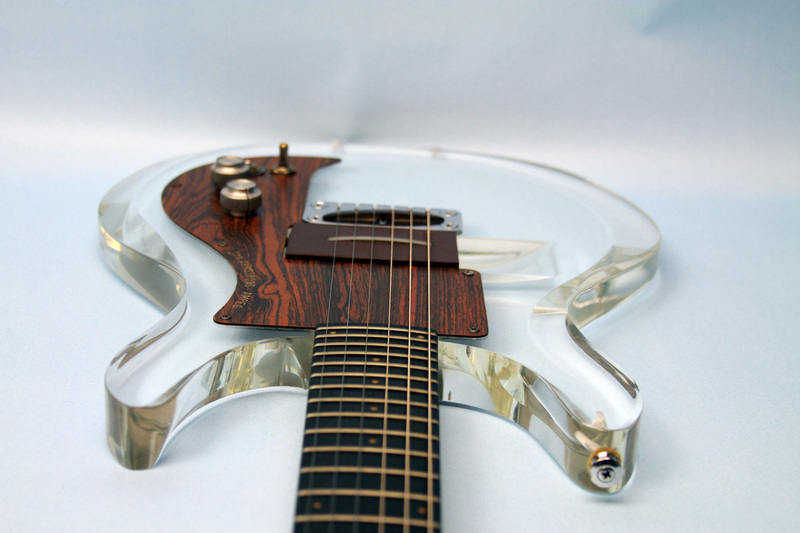 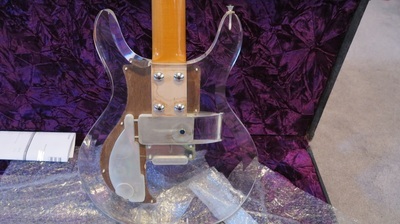 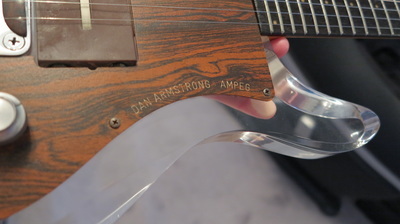 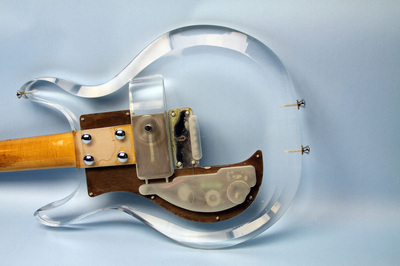 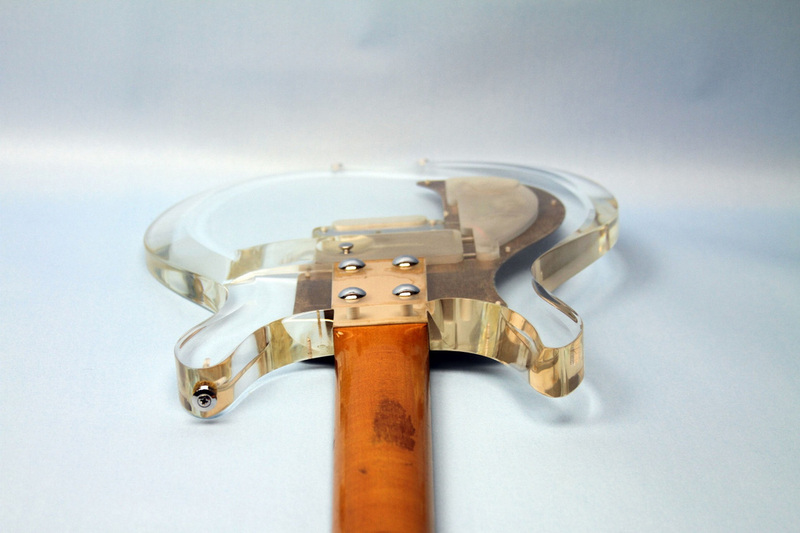 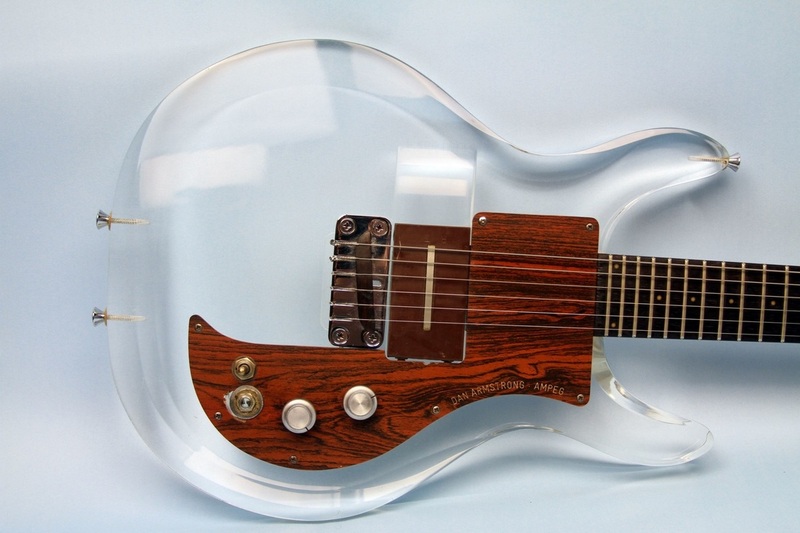 "DAN ARMSTRONG AMPEG LUCITE GUITAR 1970S ERA ARM-G1. 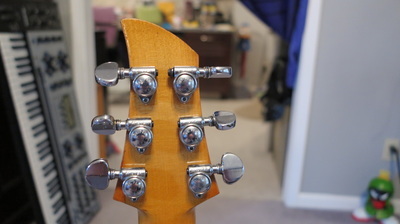 HAS THE ORIGINAL RT PICK UP(ROCK TREBLE). JUST HAD IT CHECKED OUT AND A NEW SET OF STRINGS ADDED FROM PARAGON MUSIC CENTER. 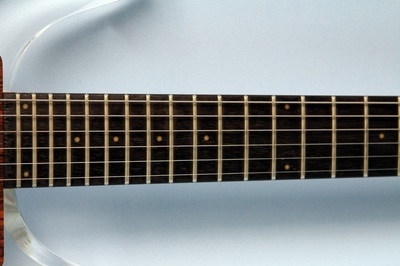 IT CHECKED OUT ACES AND PLAYS WELL. GUITAR HAS LOTS OF LIGHT AND A FEW MEDIUM SCRATCHES IN PLEXI WHICH IS HARD TO SEE IN PHOTOS, I COULD BUFF THEM OUT BUT I HAVE LEFT IT AS IS FOR ORIGINALITY. I WOULD RATE THE OVERALL CONDITION AN 8 OUT OF 10. COMES WITH AN AFTERMARKET HARD SHELL CASE WITH SOME OF THE TRIM PEELING. 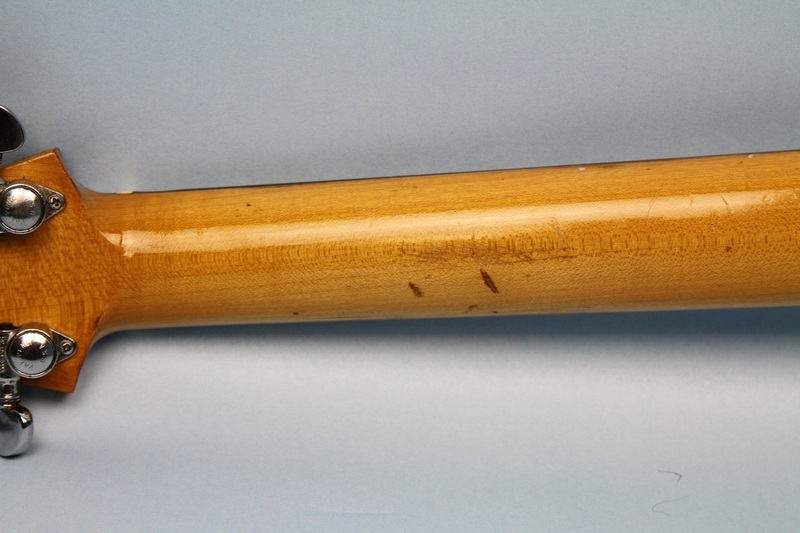 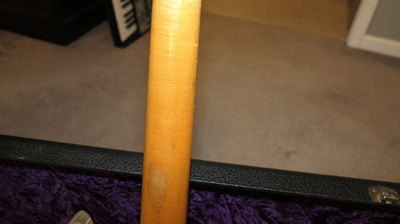 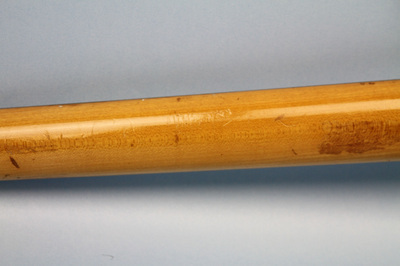 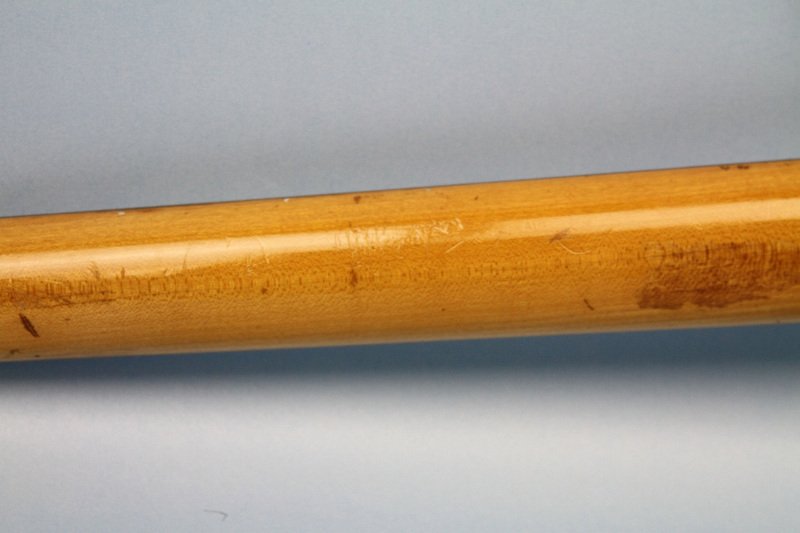 I TOOK A PIC IN BY MY DESK SO YOU CAN SEE THE SCRATCHES BETTER, IT IS ONE OF THE LAST PHOTOS." 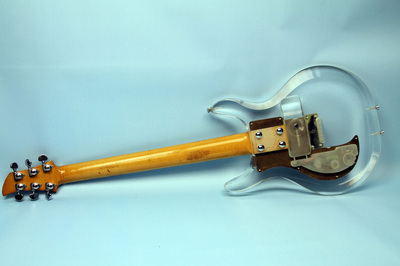 "Ampeg Dan Armstrong vintage Lucite guitar from I believe 1970, I am not 100% sure though, as these were only made originally from 1969-71. 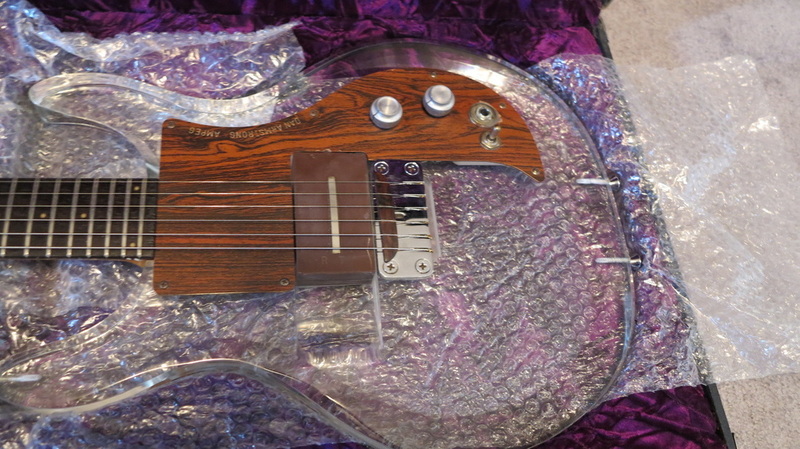 This DA Ampeg is 100% original as far as I know, the guitar has the normal Bill Lawrence RT rock treble pickup with the bolt on maple wood neck, darker rosewood fretboard with 24 frets in good shape and Grover tuners. 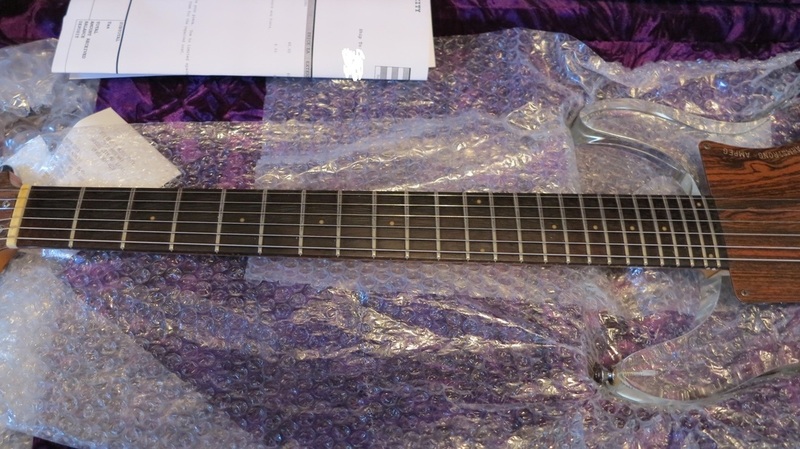 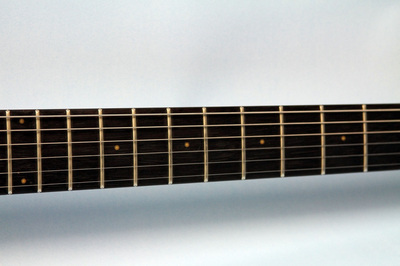 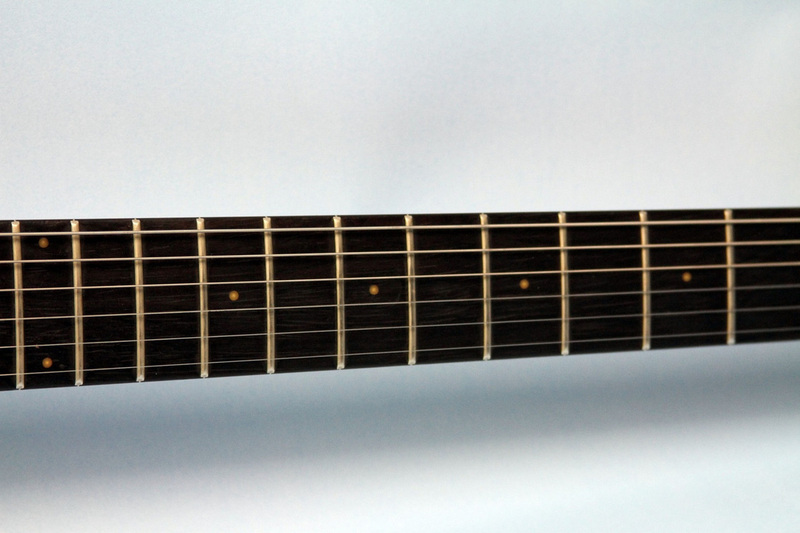 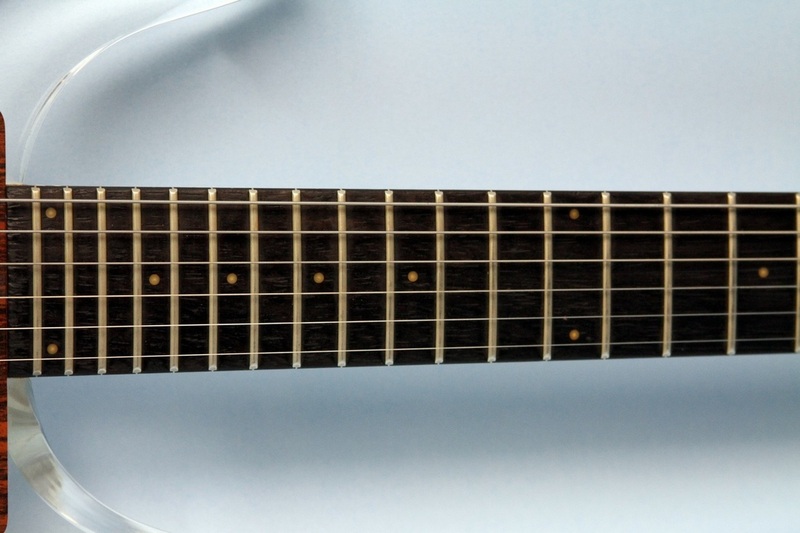 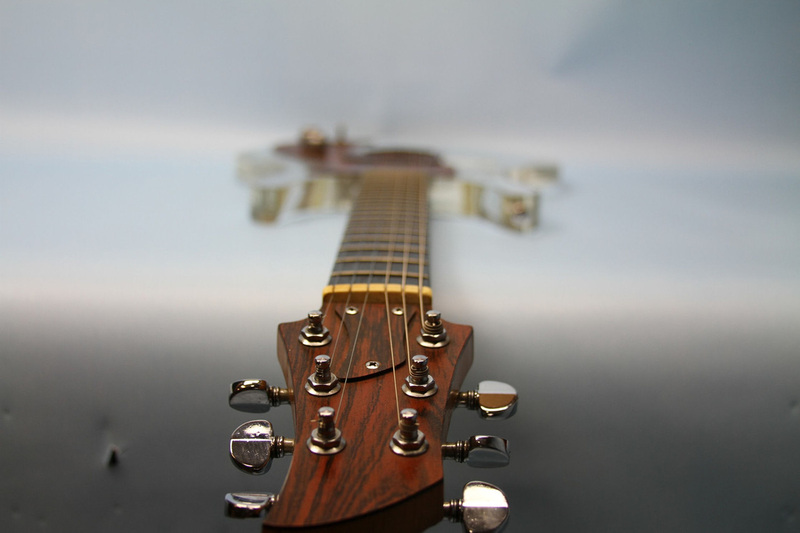 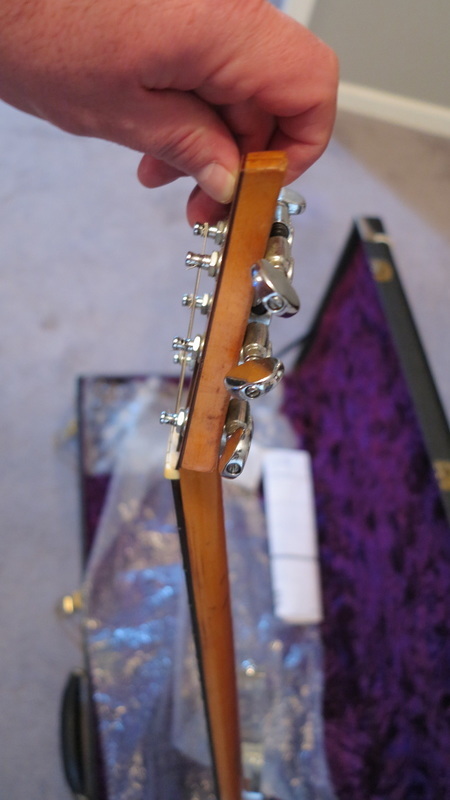 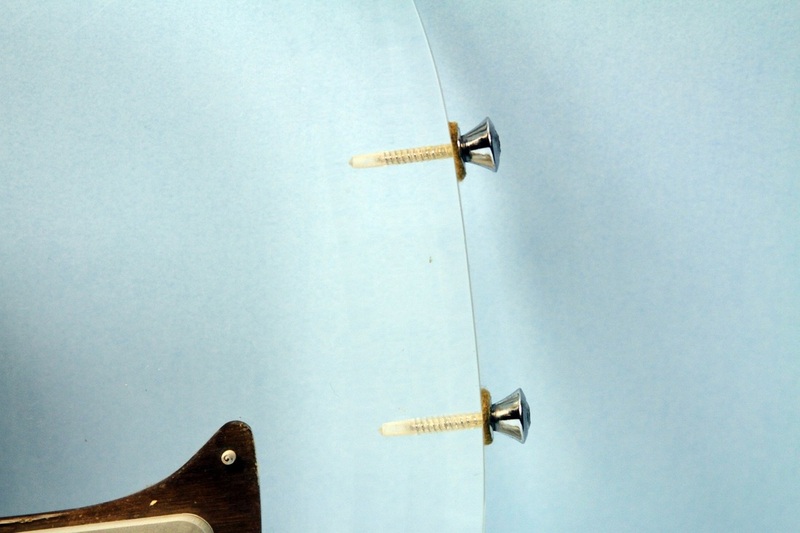 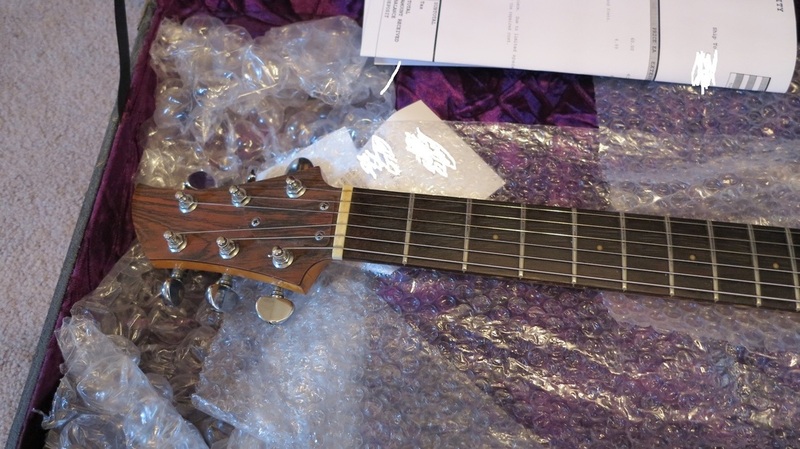 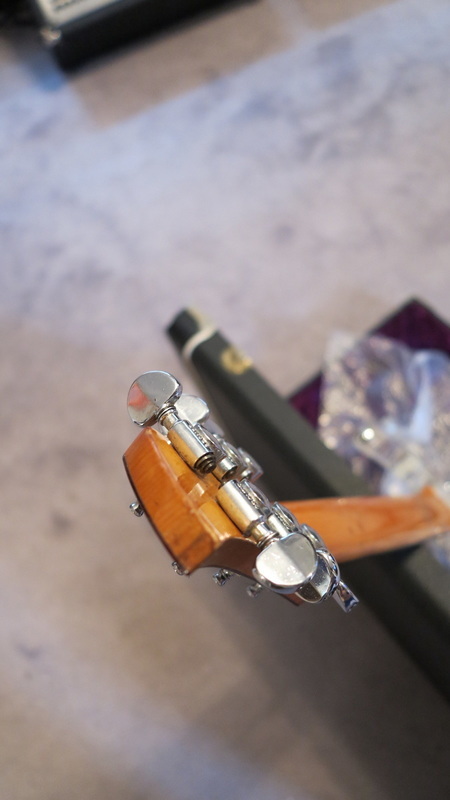 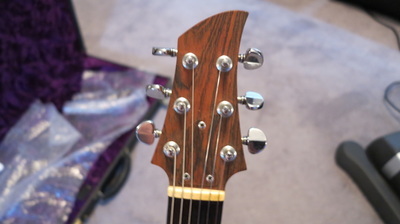 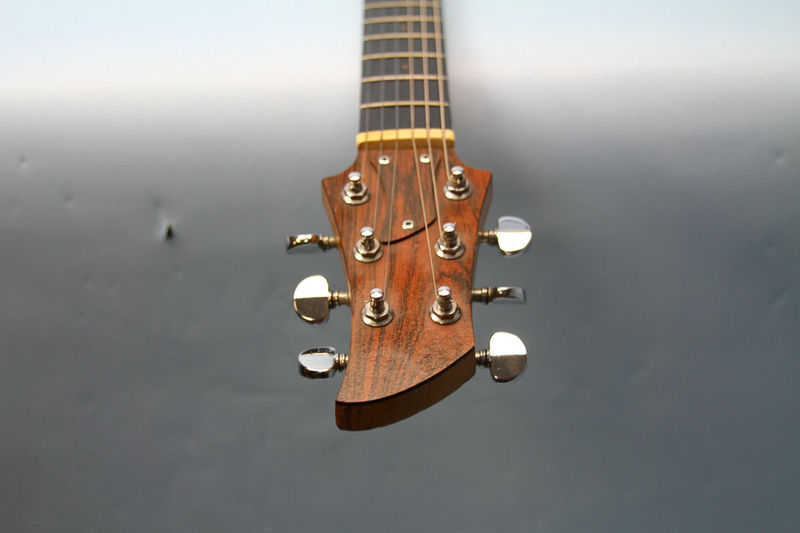 The guitar was set up with neck and bridge adjustments, and the intonation checked. 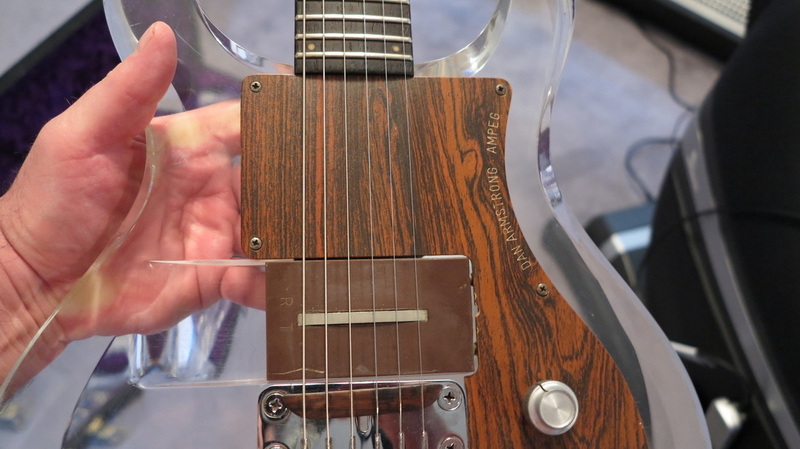 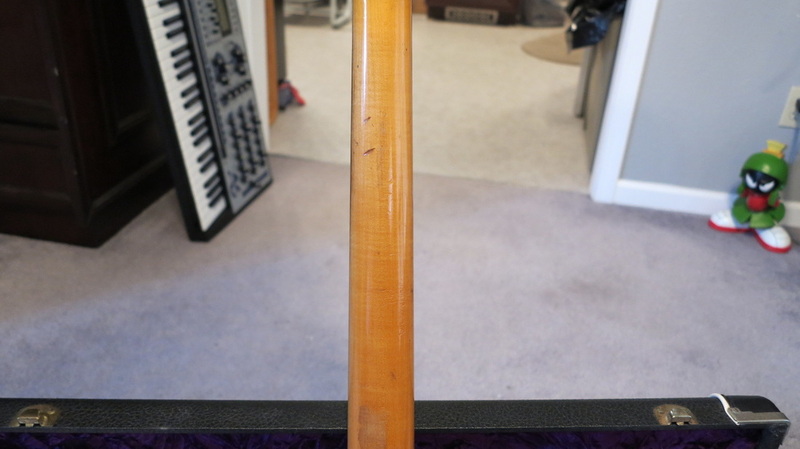 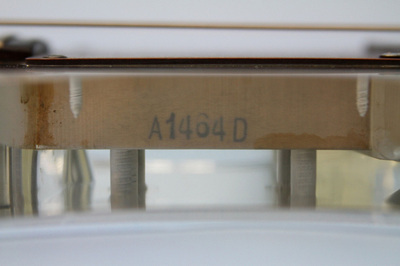 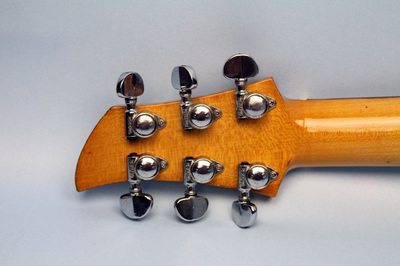 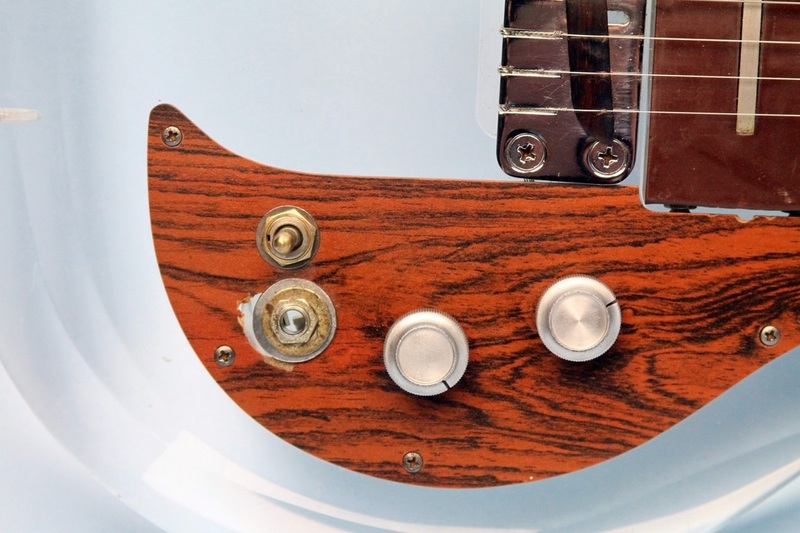 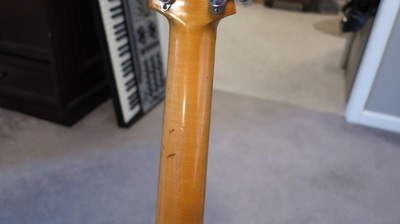 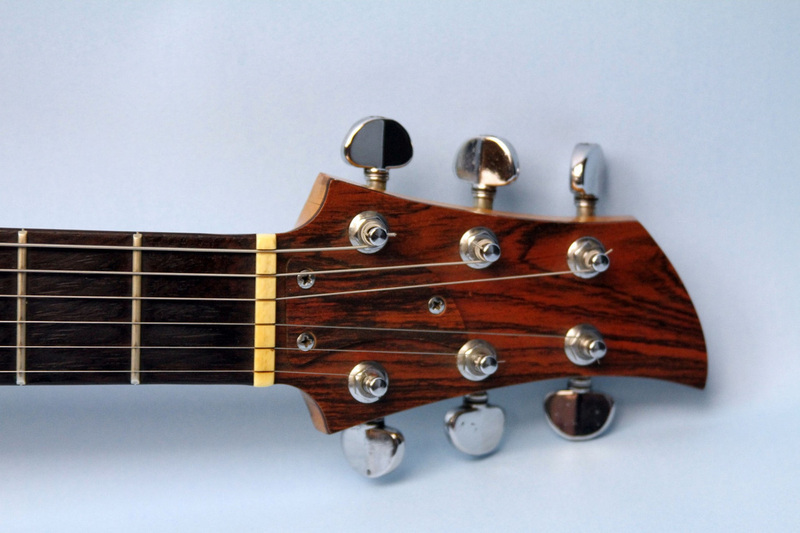 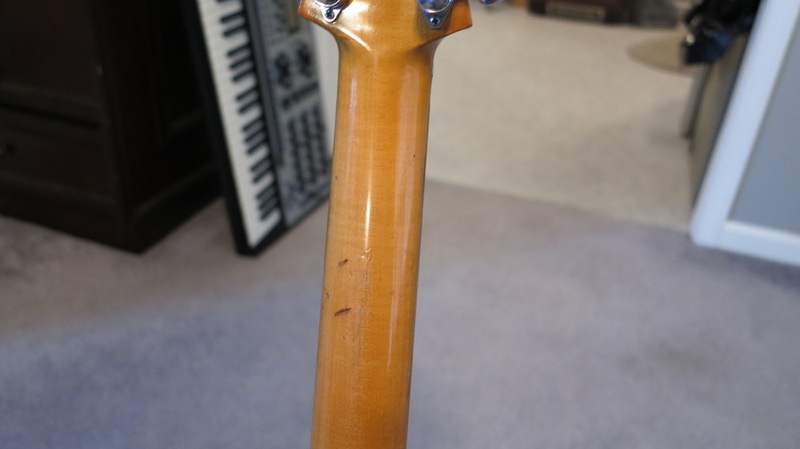 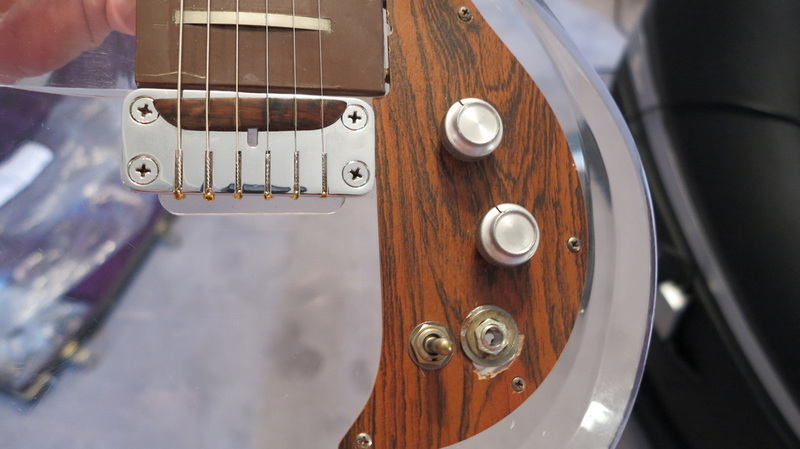 Because of the nature of the rosewood bridge it is somewhat hard to attain ideal low action on these vintage Ampeg DA guitars, and to attain perfect intonation." "There are some scratches and some wear and tear noticeable on this vintage guitar, including a couple of dings to the back of the neck. 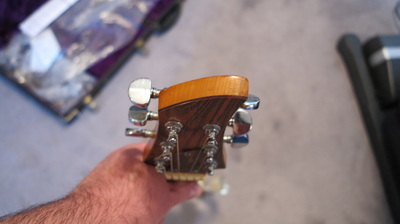 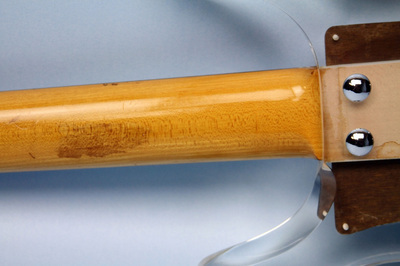 There is also some finish wear pictured in one spot on the upper back of the neck, as well as some residual water stain on the back of the neck where it bolts on to the body. 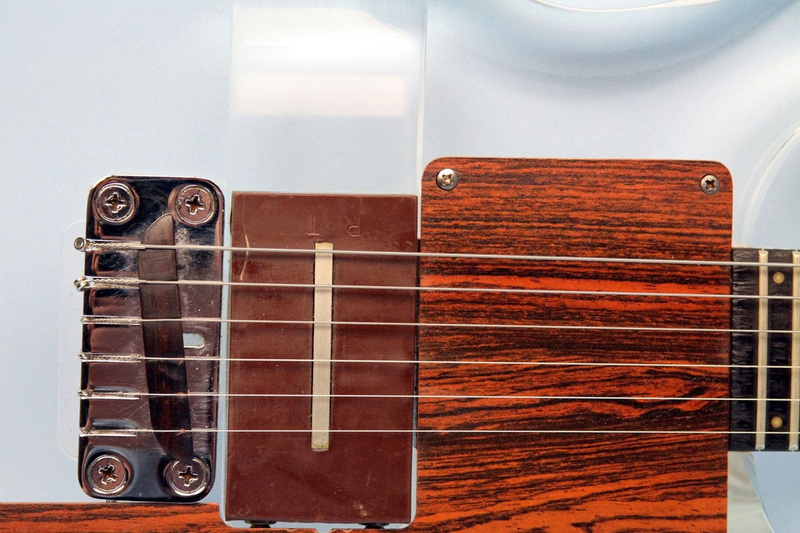 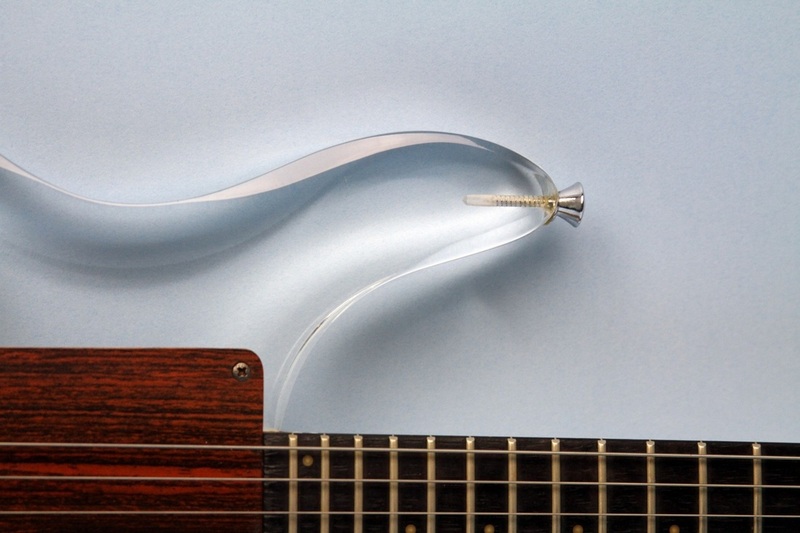 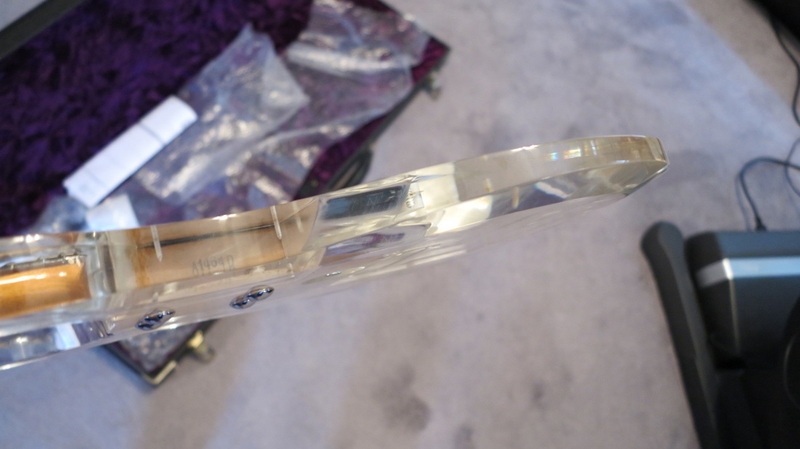 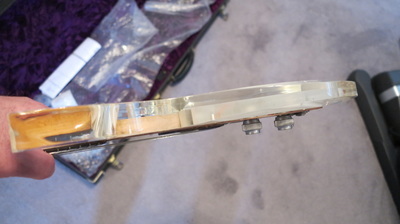 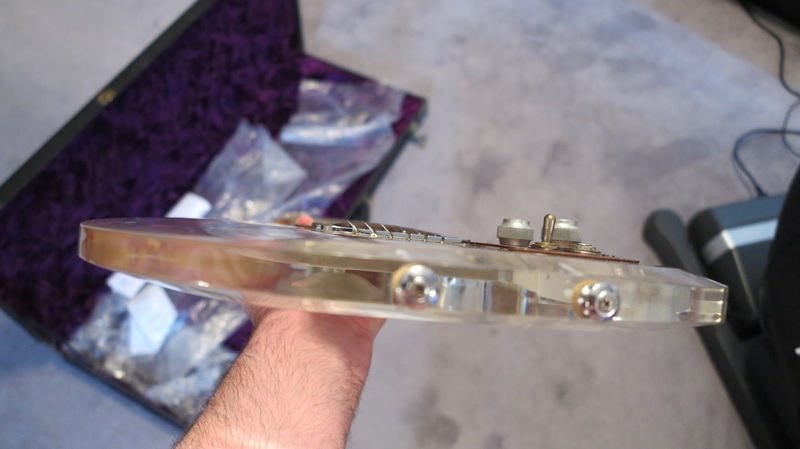 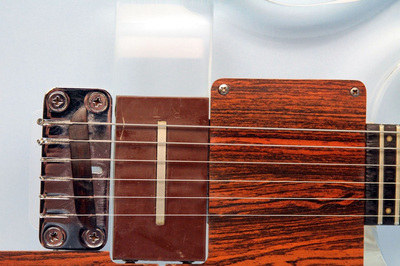 There is no belt buckle rash that I can see, and there are no major dings or dents to the lucite body of the guitar. There is some finish wear visible on the chrome hardware as well, and there is some visible damage to the pickguard around the input jack." "This vintage Ampeg DA guitar plays and sounds great and there are no issues with the electronics, although the action is too high for my preference, and overall this is a vintage guitar somehwere in the good to very good condition. 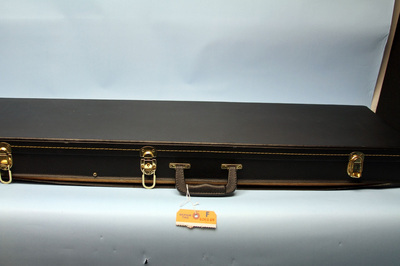 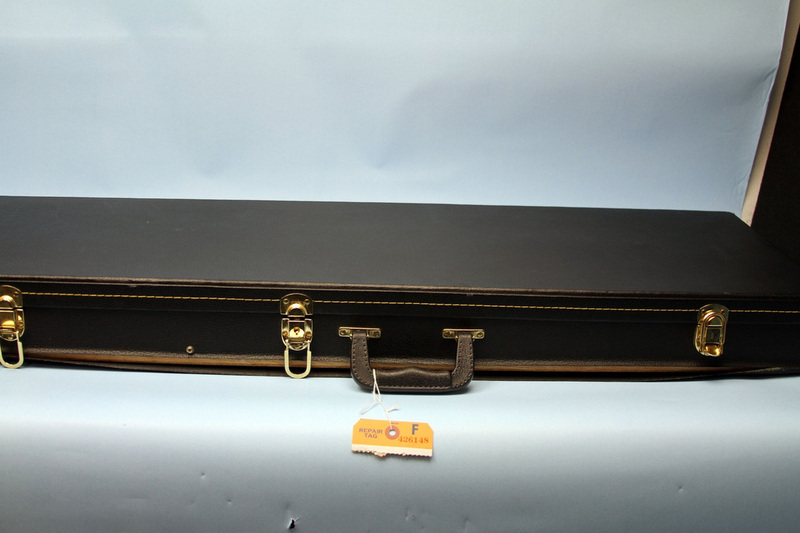 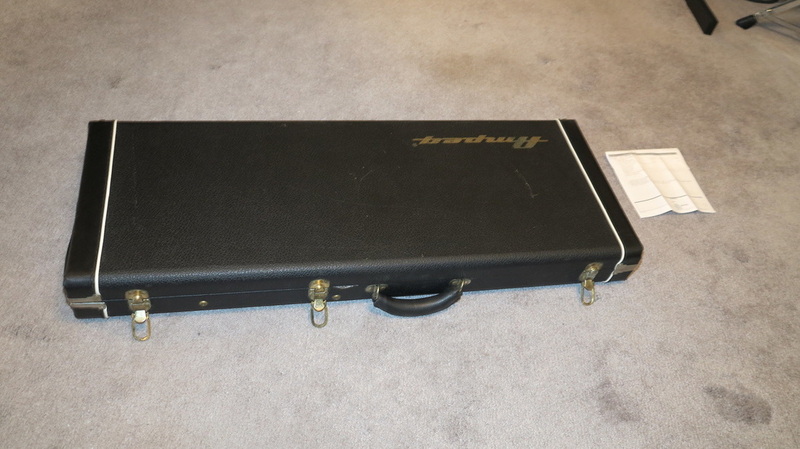 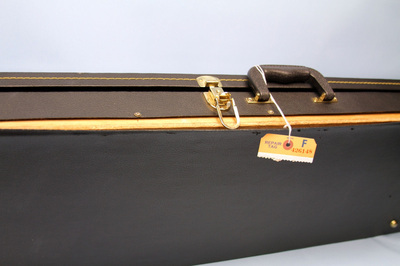 I am not sure if this is the original Ampeg case for this guitar, but this is the HSC that came with the guitar when I bought it from Ebay and it is in nice shape. 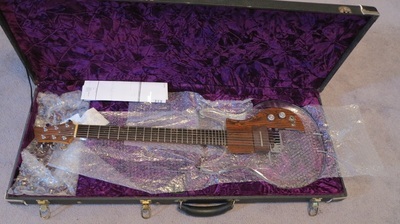 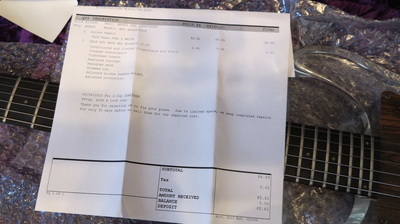 This guitar will be well packed with bubble wrap and shipped in a sturdy guitar shipping box and insured for the sale amount. Shipping through Fed-Ex Ground and or UPS Ground is another option."